I've owned this book for quite a while. I think I purchased it from a supermarket when it was being sold for quite cheap, but I can't remember. Just goes to show how long I've had it for! So it really needed a read. This book has been hugely hyped up, and part of me was scarred as well as excited to read it. It's one of the BIG dystopian novels that are out there among The Hunger Games. So I thought it was time to enter into the world and be a pat of the group that has read it. I put the book among three others into a viewer's choice and let my subscribers on YouTube vote on the ones they wanted me to read next, and Divergent was the massive winner there. I loved the world inside Divergent. It's a different book among others I've read. It feels like more of a realistic distopian novel, like it could really happen. It was simple yet greatly affective. I enjoyed embarking upon a journey with the main character Tris. I loved learning about her world and everything she has to deal with. There were twists and turns and dead ends with this novel. Even some parts that were dark and gruesome. But it wasn't cheesy in any way. It was believable as well as enjoyable. Now I've heard a lot of people aren't keen on the UK cover for Divergent. I on the other hand don't mind it. I do prefer the US cover because I love the colour blue and the fmales look really cool, but this UK cover is different. 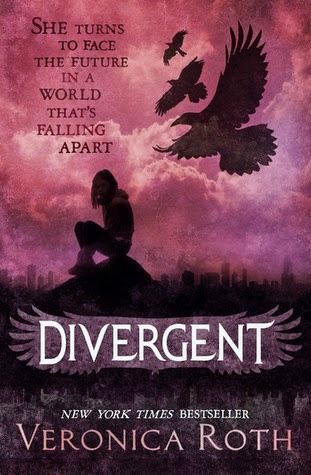 You can see Tris is alone and the three birds above have relevance to the story. It is spooky, but I feel there are deep dark part of the story, so the cover goes with the actual storyline. When I first read the synopsis of the book I was intrigued. It sounds interesting. I wanted to know what the world was like, what Tris was going to do, and who this boy is. Tris - Tris is the main character. I really liked her because she was strong, brave and a person you wanted to be like. She told the story well and I loved following her on her journey. Four - I loved everything about Four. He isn't one of those characters that stand out straight away. He didn't stick out for me at first, but once I got to know him, I fell in love with him. Caleb - Caleb is Tris' brother. We don't see too much of him because he is in a different faction, but he is adorable and I felt sorry that he was separated from his family. Christina - Christina is a great friend to Tris. Even though they are all in there, she is brave and loyal to Tris. Will - Will was a decent character. Al - Al is like the cry baby. He is weak and pathetic, and he lets it get to him. Eric -Throughout the book I could feel there was something about Eric that doesn't seem right. He seems too mean and sneaky. Uriah - Uriah was a cool character. I liked him. Marlene - I didn't like Marlene at first, but eventually she grew on me. Peter - Peter was a nasty piece of work. I just wanted to hit him so much. He annoyed the hell out of me. Although there were a lot of characters, they all had such big personalities that I could mostly tell them from apart and knew who was who. 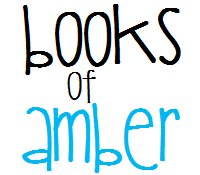 The story is written in first person, and the chapters are fairly short. Which is nice because I like short chapters. I think this worked really well as I enjoyed Tris telling the story from her point of view. The writing style was easy enough to understand. It was gripping and went with the story well. The title relevance to the story was good because one of the results of the test in the book is Divergent, and that is what one of the characters is. As I started the book, I could see it had potential to be good. I did find it a little slow and was asking people if it did get better and they said yes. I'm SO glad I listened to their advice, because it did get better. I just found the beginning a little slow-paced. The ending I found absolutely adorable, and now because of it, I can't wait to carry on and read the sequel! So after a long hard think to myself, I decided to give this book five stars because it was a phenomenal story, and I know I'm going to read it again at some point in my life. Tris really does become a better person and even ends up changing people's views on some things. She has the power to do things like that. There are so many awesome tasks that I enjoyed reading about. Yes yes and yes. Go pick it up and read it if you haven't done already. If you are really into dystopians, then give it a try!